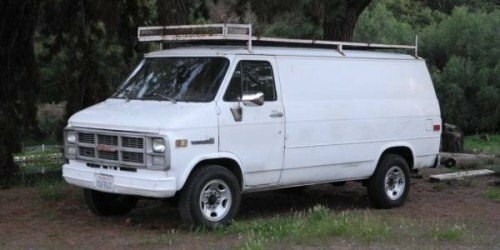 Like its competitors the GMC Vandura was a base model van made in many different types and used for a variety of purposes. Rather it was for hauling passengers or cargo; the GMC Vandura was used in both commercial and personal applications throughout its 25 year run. Listed below are some of the more popular Van types with brief explanations for reference. We have broken this up into two major categories Cargo & Passenger. With Cargo focused on moving materials and Passenger focused on transporting people from place to place. You will find all of these types and more in our classifieds section. It is important to also take note of what a conversion van is. Conversion vans are Professional or DIY Homemade transformations of base GMC Vandura vans into some kind of specific purpose driven vehicle. With professional conversions a GMC Vandura Chassis is often used with custom body work built around it. The GMC Vandura was probably the most used as a cargo van in commercial applications. These could be for contractors, delivery services and other custom applications where the goal is to haul tools, inventory or other goods. 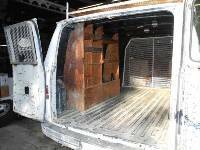 The basic setup of a Cargo van is for the removal of rear seats. This could be only the rear bench for extra storage area, or all rear seating for a full truck bed effect. One of the main the benefits of a cargo van over a pickup truck is for the enclosed nature of the vehicle allowing for safer storage of tools, equipment and materials. This makes cargo vans a top choice for everything from plumbers to mobile locksmiths. The box truck is often a type of cargo van where a GMC Vandura Chassis Cab has a full delivery truck or cube shaped area attached to the cab. These are common for delivery / moving company vehicles and were made using the GMC Vandura chassis body throughout its production run. The other major van type for the GMC Vandura was for use as a passenger van. With extended body versions boasting seating for 12-15 people it is common to see GMC Vandura vans used for the following type of people moving applications. GMC Vandura Passenger vans are also obviously popular among large families, churches another other social clubs for use in group outings, travel and more. The Campervan or Traveller van is a popular version of the passenger van that is typically built for use by 1-4 people for both transport but also temporary housing. This includes a rear fold down seat for a bed along with removal or reposition of one or both of the center captain seats for inclusion of a refrigerator, sink, counter, stove, cabinetry, storage and more. It is also common for a GMC Vandura campervan to have a raised roof installed which allows for the occupants to fully stand when in the rear. This could also include the installation of electronics such as a TV and stereo system. There were many 3rd party companies that used the GMC Vandura as the basis for conversion campervans. See the link below for an example of a fully self-contained camper van from our classifieds. Any other Vandura van types we missed? Let us know below.